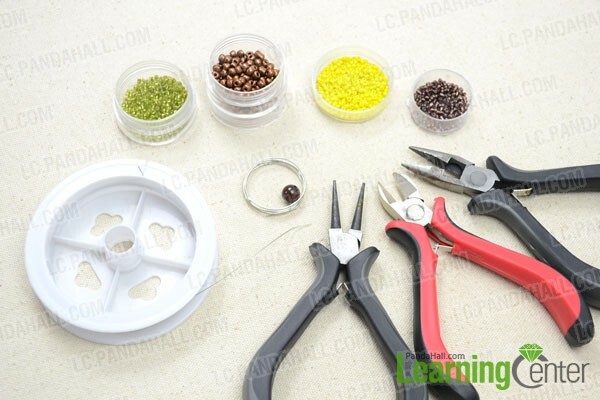 Summary: How to use memory wire to make a ring? 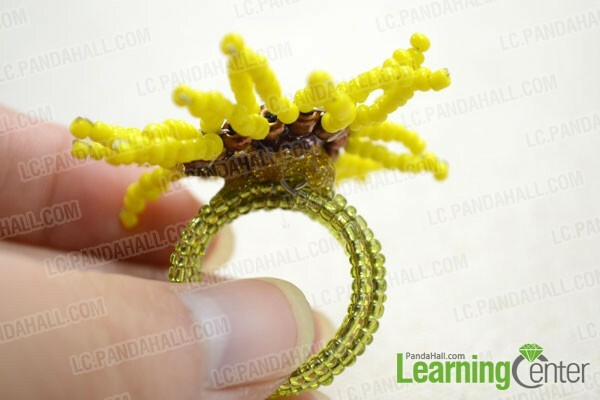 How to make the memory wire ring be more eye-catching? 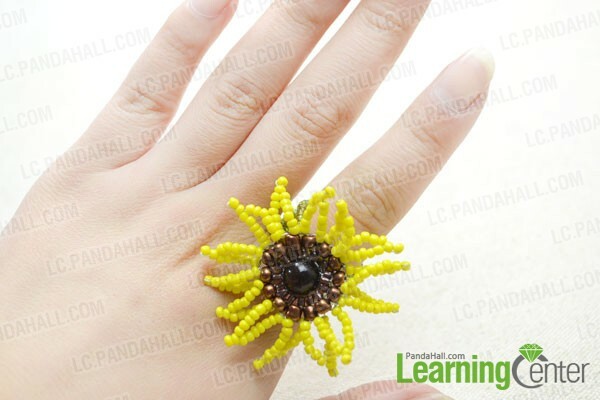 Just visit this page and a beaded flower ring is waiting for you! In my previous project, I’ve showed my way making a vogue memory wire choker necklace. So, I’ll continue to show you how to make use of these endless loops in jewelry making. 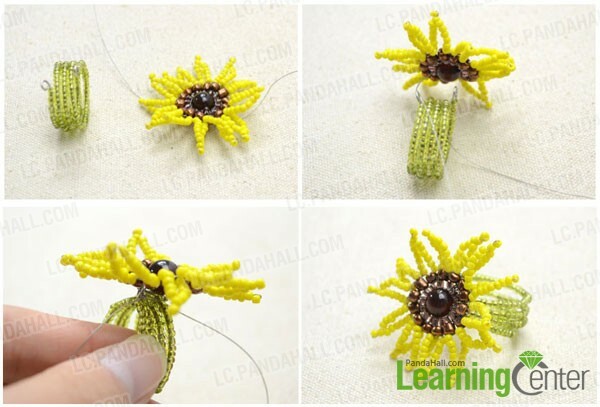 Here, this project is all about a memory wire rings design, in which demonstrates the way making a wire rings and a seed bead sunflower by using brick stich technique. Here we go! 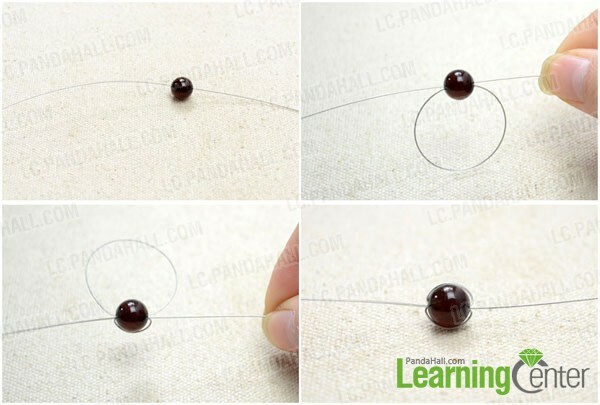 How to make the memory wire ring? 7th, add two 4mm brown seed beads and do the brick stich pattern as did with the 2mm beads. 5th, tighten the wire and then repeat the procedures 1~4 for the rest petals. Cut a 4-coil memory wire, loop one end with round nose pliers. Then, string the 3mm green seed beads to cover the wire coils. 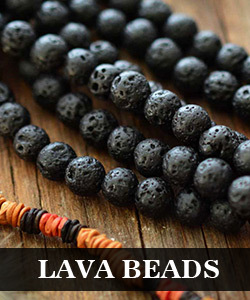 Finally, make a simple loop at the other end to secure the beads stay in place. 4th, seal the part between sunflower and ring with thick glue if necessary. So far, you’ve created a new floral element for your wardrobe! 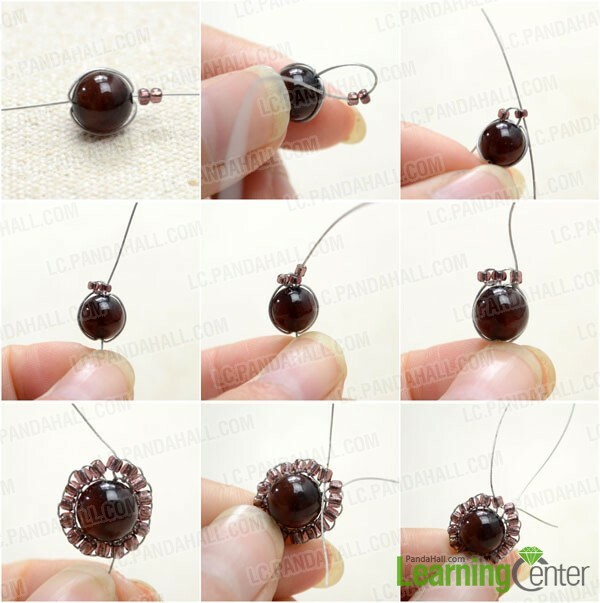 If you’ve never work with memory wire, you should know that nothing beats the memory wire in making quick yet stunning jewelry accessory. 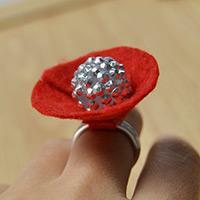 And this beaded flower memory wire ring is sure to be the next craze among girls! Hope you’ve enjoyed while making this wire ring! I love this one. Going to have to make it.